Nostalgic visual effects that replicate old analogue film are usually seen in video format, but the same techniques can be applied to static images to give your photographs and design work a retro aesthetic. Dust, noise and colour distortions were originally unwanted problems associated with film, but now we purposely distress our artwork with those same imperfections to give clean digital designs a classic appearance. 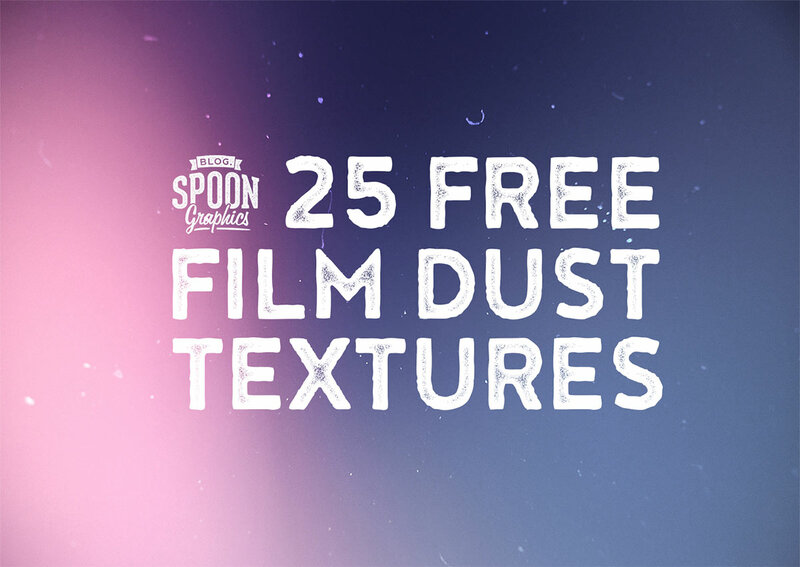 My new set of free resources contains 25 textures that combine bright colours and real dust speckles to simulate film grain and light leaks. They’re great for overlaying onto your images, or for use as backgrounds to form the foundation of a design. This free pack of film dust textures contains 25 high resolution (3264×2448) JPG images with a variety of colours and natural particle spreads. Use them as overlays against photographs by selecting the Screen or Soft Light blending modes to allow the colours to interact, while leaving a layer of white speckles. Alternatively, the textures could be used as backgrounds to a design, upon which text and other elements can be laid. Wow, thanks so much Chris. Very good of you to share. These textures look great but I can’t open the downloaded files ? I using OS 10.12.3 with unzip apps. I tried to subscribe but couldn’t click or copy the activation link. Oh, how cool! These are great for that added bit of ‘old’. LOL Thank you so much! Glad you like them Su! And a very happy Monday to you, Chris! Thank you so much for all of your work and for sharing so much of it. Continued success to you and your business. Most gracious thanks for your generosity and thoughtfulness. All of your time, effort and consideration to post this, is VERY much appreciated. Thank you very much for your comment Roger, its really appreciated! Thank you so much for your great blog and for sharing so many useful resources! I’ve been reading you for years but never took the time to let a comment or to thank you! Please go on doing this excellent job of yours! Thank you very much, it’s great to hear you are finding the resources useful! I had to chuckle when I saw this….to think of all the years I spent dusting negatives in my darkroom, trying to get rid of dust and filling in scratches ….and yet I still downloaded them…..now if you just had an action to get rid of halftone dots, I’d be happy…..
You are always sharing gratis designing resources for us. From last few month, i am following your informative blog. I thank you for your business.